Sure it's a baby shower but how about you don't say baby. 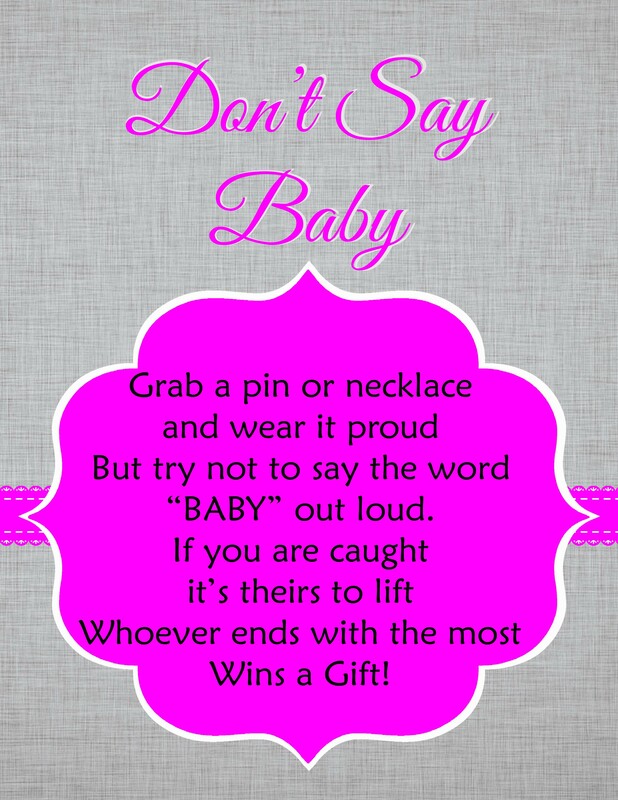 Challenge your guests to not use the word "baby" and see just how many times they actually say baby without even realizing it. 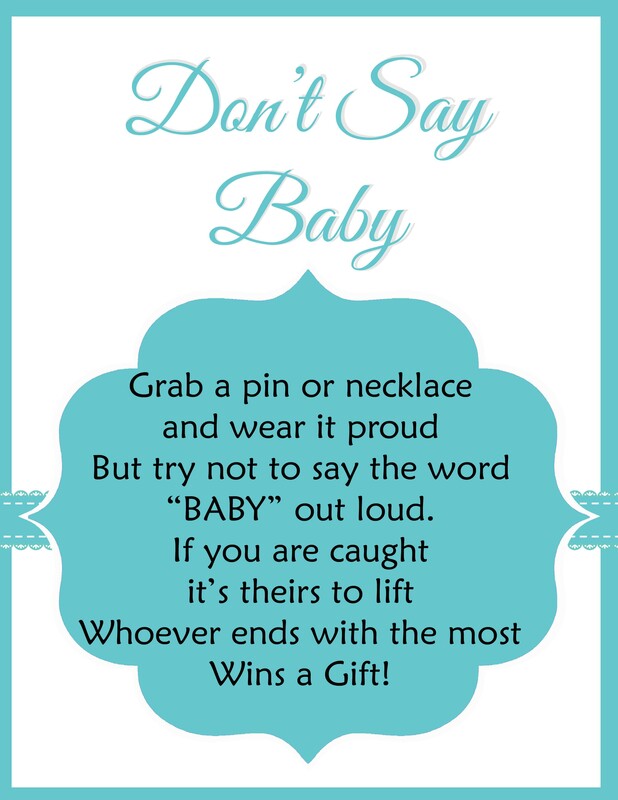 Don't say baby is a nice fit with any size baby shower crowd since its fun for any age with basically no prep time for the hostess. In my experience even children especially love this game and are more vigilant about catching a slip up. This game is a perfect ice breaker since everyone will have to listen keenly to catch a slip up no matter if that person is a friend, acquaintance or stranger. Everyone wants a pin even the mom-to-be so be sure to have a nice prize to entice guests to play. Consider giving the winner a gift card, or little basket of goodies. 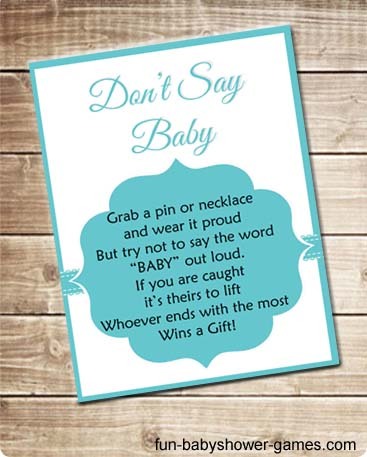 Give each person a diaper pin when they arrive at the party and let them know that they should try not using the word BABY throughout the party. Anyone that says baby looses their diaper pin to the person that hears them. Instead of using the word BABY you can use the word mommy or the name of the baby if its already known. Or just choose any word you think would make it interesting for everyone.